As much fun as Spider-Man: Homecoming was, Sony’s animated Spider-Man: Into The Spider-Verse is looking like a significantly wackier adventure that gleefully dives headfirst into the weirdest parts of the web-head’s comic book history. Previous trailers for the film established the movie’s alternate universe (or “spider-verse”) conceit, with the Miles Morales Spidey meeting the classic Peter Parker Spidey (Jake Johnson, who says this Peter is mostly concerned with his bad back these days), and the super cool Gwen Stacy Spidey, and we even recently learned that Nicolas Cage would be popping up as the grim and gritty Spider-Man Noir. 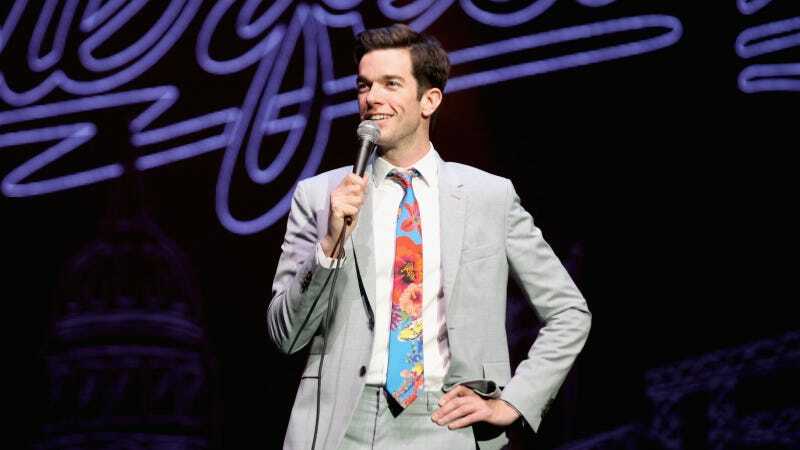 Sadly, we didn’t get any new footage of the movie at tonight’s Comic-Con panel for the film (online, anyway), but we did get something almost as good: Confirmation that stand-up genius John Mulaney would not only be joining the movie, but playing Peter Porker himself, the Spectacular Spider-Ham. For those unfamiliar: Spider-Ham is a version of Spider-Man who is a pig (duh), and who lives in a world (Earth-8311) where everybody is some species of funny crime-fighting animal. Besides Mulaney, Sony also confirmed the casting of Kimiko Glenn as Peni Parker, a.k.a. robotic superhero Sp//dr from yet another bit of the Marvel multi-verse. Spider-Man: Into The Spider-Verse stars Shameik Moore, Jake Johnson, Hailee Steinfeld, and Liev Schreiber, and it’ll wall-crawl and/or web-sling into theaters on December 14.